When you are in your home you want to feel safe and secure. You want to know that your locks are keeping your doors and windows secured so that someone can’t just waltz in. There is always a part of moving that can be unnerving. When you move in you can’t be sure who had keys to your house before you. If someone had a key they could have made even more keys and there is no telling who could have access to your home. The only way that you can be sure that you are the only one with keys to your home is to have new locks installed. This is also a great time to get decorative handles installed. Best Locksmiths has prepared a list of considerations when choosing new locks for your home. New Lock Price: Just because a certain lock costs the most money does not mean that it is the right lock for you. As long as the quality of the lock is good the cost should not be what you use to determine which to choose. There are many other options to look at over the cost. New Lock Fit: If you use a locksmith company to install your new locks they can help you determine what size will fit your door the best. Most doors are cut with specific holes that are able to encompass locks with dead bolts and single unit locks. Make sure you know what can fit your door before you make the purchase. New Lock Style: When you are deciding on a lock for you home you have to know what style is best for you. Entry locks usually have a way to lock on the inside and the outside. This is the most used type of lock. The key section of the lock is on the outside so that you can use your key to gain entry. You can also add a deadbolt lock. This is a second lock that usually adds another more secure level of safety to your home. This is a way to keep a person that is trying to gain access from running into a problem. The deadbolt is attached to the door frame which makes it much more secure. You can also add a night latch. This is a latch that is installed on the inside of your home that cannot be unlocked from the outside. The latch can be used at night to ensure that a smaller child cannot get out, or as an added level of security. When you are ready to choose a lock that is best for you, be sure to talk to a professional locksmith like Best Locksmiths that can help with options and installation. Contact us today for more info! Home owners have a variety of different locks to choose from when deciding how to keep their home secure and their belongings safe. There are many different lock options to choose from that can keep a home locked up and keep criminals out. 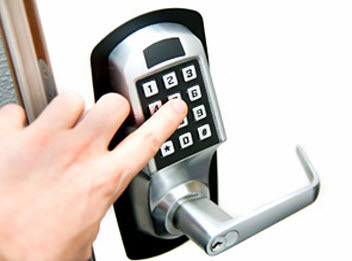 One of the more popular options that is available today is the digital lock. A digital door lock is a locking device that operates without a key and requires a type of code or electronic key that will open the lock. These locks use magnets, solenoids, or motors to activate the lock by either supplying or removing power. There are many advantages to installing a digital lock for your home. Digital Locks Mean No Keys! Keys are a daily part of our lives, whether we are leaving our home, arriving at the office, getting into the car, checking the mail or opening our back gate; our key rings are packed with keys that we use all of the time and others that we may have forgotten what they are even for. One of the greatest benefits of installing a digital lock is no keys. No more rummaging through your purse or pockets while standing at the front door with bags of groceries or impatient kids. Digital locks allow you to access your home quite easily and in just one step. All you have to do is press your finger on the digital lock sensor, and you are walking through the front door. Another wonderful benefit of a digital lock for your home is that they lock automatically. Often times home owners leave their home, and while driving in their car to work, are trying to remember if they locked the front door or not. When you leave your front door unlocked you put your loved ones and your belongings at risk of being in danger form criminals or burglars. Do not make your home an easy target for these types of situations. When you install a digital lock, your door will lock every time you close it. Digital locks on your home will lessen the amount of keys on your key ring, take away the worry of any unlocked doors and add an additional level of security to your home. You will no longer have to worry about losing a house key or someone making a copy of your house key without you being aware of it. You can program your digital lock to be compatible with everyone in your household. For all of your house lock and key questions, contact Best Locksmith today. There are several reasons that you might need to hire a locksmith and some of them could leave you in a jam. A locksmith is an expert craftsman that has the ability to duplicate a key with the precision needed to ensure that it works every time. You need to be able to trust the locksmith that you use so that you know the security of your locks are not compromised. This means that you should always go with a locksmith that is licensed, insured and experienced. Best Locksmith has a list of reasons that you might need to hire a locksmith. Key Duplication: If you need to have a key duplicated you will need to hire a locksmith to do it. There is no way to make a key on your own without the correct type of equipment. You may need a key duplicated for many different reasons. One is because you have moved into a new home and need a key for other members of you family. You might have also lost a key and need to replace it with a new one. New Locks: If you move into a place and are not sure if the locks are secure you may need to have new locks installed. This is a job for an expert locksmith. They can come to your home or office and replace any locks that are not secure or that are broken or damaged in any way. This can leave you knowing that your locks are secure and you know who has the only keys that will unlock them. Locked out: This can mean that you are locked out of your house or your car and need to have acces to it. This also usually means that you are not able to get from your place to the locksmith office. You need to have access to a locksmith that is mobile. 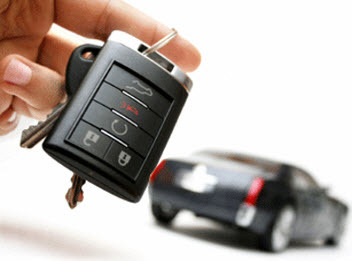 The locksmith can come to you and help get the car or home unlocked and have your keys back in your hand. If you use a mobile locksmith it can save you time that you may have wasted trying to get in yourself or going to a locksmith that does not do mobile work. These are only some of the reasons that you might need to call a locksmith and use its services. IF you have any lock or key needs you can contact Best Locksmith to get you out of a jam any time. There are endless possibilities to the “what if” scenarios and most of us are simply too busy to sit around thinking of prospects and solutions. But what do we do in emergency situations? Hopefully after keeping calm, we contact the appropriate help. A few examples are fires – we call the Fire Department, crimes – the local Police Department and scary medical situations – an ambulance comes to our aide. But what about those emergencies in which locksmith is needed? Luckily, Best Locksmith has emergency locksmith services that can rescue us should the situation arise! You might be furrowing your brow in contemplation as to what constitutes an emergency where a locksmith is needed. The potential for needing an expert is high. From automobiles, homes and our businesses. From early hours of the day through late hours of the night. Automobile emergency needs. Locking our keys in the vehicle is the worst thing. It frustrates us, especially when we are in a hurry. Almost just as inconvenient is when your key breaks in the ignition. A need for a locksmith might occur in the middle of the night where you been out late celebrating on the town and misplaced your keys. Or the gut wrenching scenarios when our children and pets get locked in the car. That is an awful thing, especially in the dead of summer where we here so many critical injuries or fatalities when such a event transpires. Perhaps after witnessing a car accident and someone is unresponsive but the doors are locked. You may be thinking that you can just break the window out but this is easier send than done, especially if there aren’t any blunt objects nearby to assist. Not to mention you don’t want shattered glass spraying onto those inside. No matter the plot, having an emergency locksmith a phone call away is such a relief. Emergency locksmith needs for your home. Very similar situations can occur concerning your homes as your vehicle. An added delay is when you have broken your key in the lock as this happens all the time. Another disturbing alternative is someone broke into your beloved home while you were at work or out running errands. You will want a professional to come replace the locks as soon as possible and perhaps even upgrade your security. Best Locksmith has that knowledge and experience to make you feel safe in your home once again. 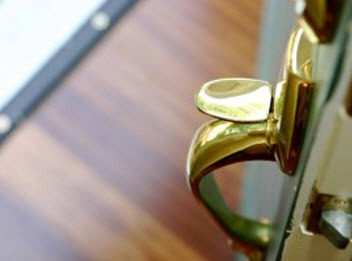 Emergency locksmith concerning your business. Anything is possible, the examples given regarding our homes and vehicles can apply to the building of your business. With the high-tech security you use to fortify your business, sometimes you especially need an expert to assist you in any emergency situation. The same can be true to safes or lock cases where sensitive information or cash is stored. No matter what circumstance has you in an emergency, Best Locksmith can help you. We offer many other quality services as well and will be happy to answer any questions you have. Contact us today and save our number on speed dial; you never know when you might need us!